The compression therapy pump is used for lymphedema treatment and relieves patients from discomfort stemming from venous disorders of the lower extremities. The device reduces edema and increases mobility by promoting the flow of lymphatic fluid through the body. Quiet, wave-like gradient sequential inflation/deflation cycle provides patient with comfortable massage-like therapy. Easy-to-read LCD screen that allows the user to see real-time pressure in each individual chamber. 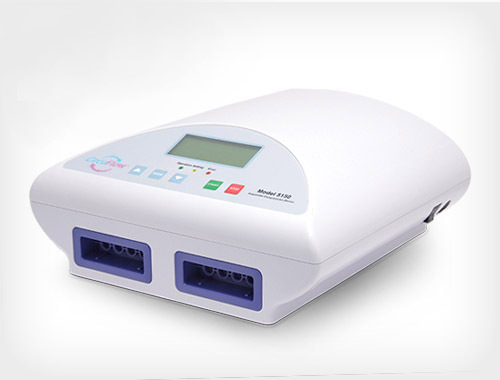 Convenient digital controls, built-in timer feature for easy therapy time control. Automatic shutoff and emergency stop feature for maximum user safety assurance. Vacuum mechanism evacuates air from the garments upon shutoff of the system, allowing for greater ease in applying and taking off the garments.